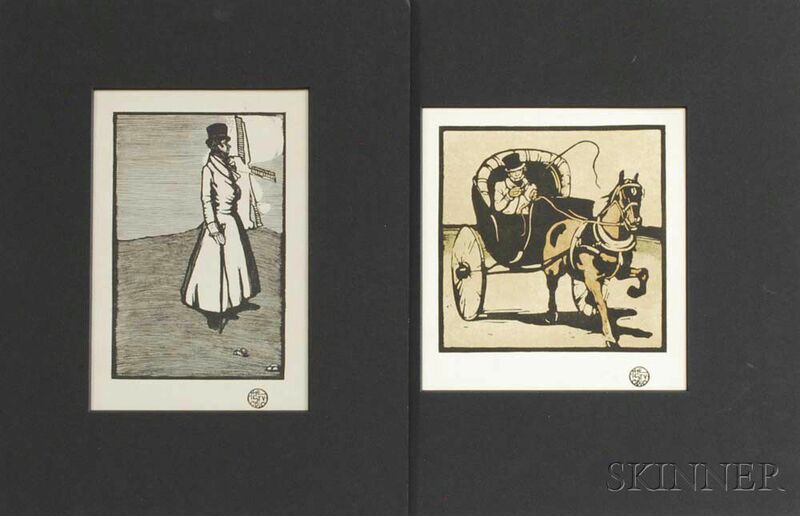 Two Works Published in The Studio: The Cabriolet, 1897; and Figure and Windmill. Relief prints (the former in color), sizes to ht. 7 1/2, wd. 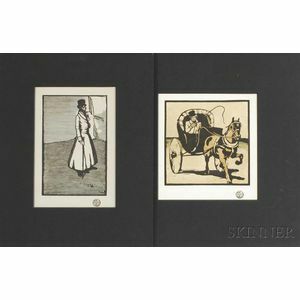 7 in., matted, unframed.